For my last post I started off by saying what I didn’t like about Weymouth. So for this post let me say what I love about Weymouth. Weymouth has a great harbourside area. Lined with restaurants and pubs, what I like the most is the rowing boat ferries that take you from one side of the harbour to the other for a pound. 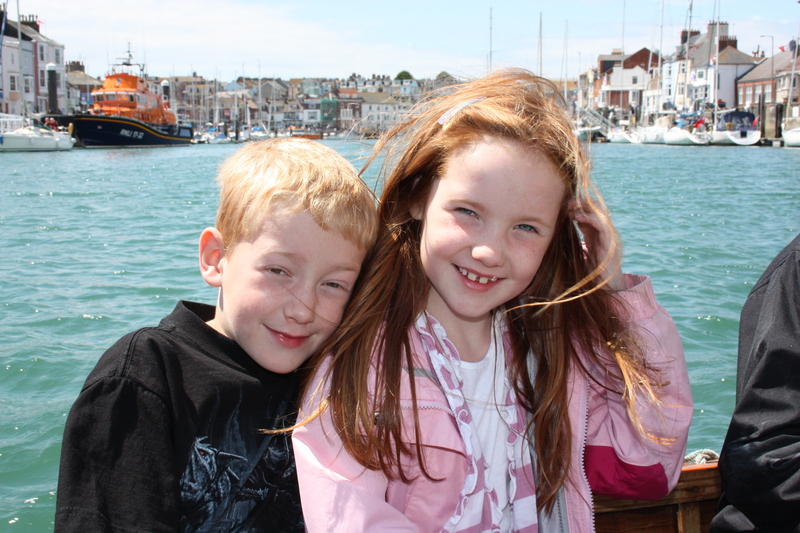 The kids weren’t with us on this walk, but here they are on the harbour ferry in 2011. A man with an oar, costing a pound, to take you from one side of the harbour to the other. It’s the simple things in life that count. This entry was posted in Dorset and tagged coast, Dorset, ferry, travel, walking, Weymouth. Bookmark the permalink.